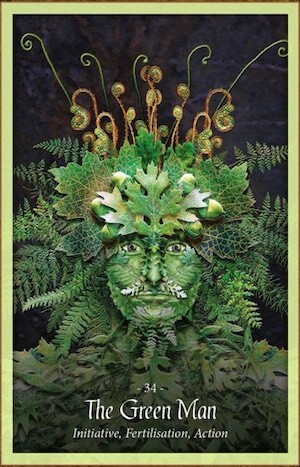 The green man indicates that now is a time of renewal, new beginnings, and new connections. It is time for you to actively pursue the life you want to live! This energy must have direction...not necessarily tamed, but pointed in the right direction to flow with ease and grace. The catalyst for this comes from within...you are in alignment with source, with your purpose.